Now that 2010 has come and gone, you know that you’ll have to start getting your financial stuff together in order to file your tax returns. This may be the most appropriate time to bring up how preparing for mixing is like preparing to do taxes. By equating the process of preparing your tracks for mixing to the annual ritual of preparing for tax returns, artists out there may be offended. How can you confuse a step in the artistic process of audio production to something as mundane as accounting (now I’ve offended the accountants)? Aside from the fact that accountants can be creative (now I really have insulted them), the reality is that both processes require the owner of the information to be organized. If you have someone doing the taxes for you, you would not hand your accountant a shopping bag full of receipts, would you? I suppose you could, but someone has to go through the receipts and categorize them by the type of expenses. That will naturally drive up the cost of filing the tax return because of the labor involved to sort through the receipts, even if a junior accountant does the work. If you happen to do your own taxes, you would be the one having to spend the time doing this task. 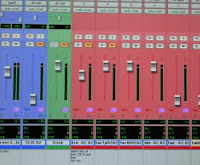 It is no different when it comes to handing over all your recorded tracks to a mixer. 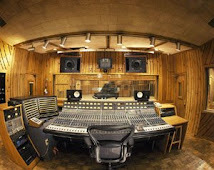 In a world where there are hardly any limitations on the number of tracks you could have, without some discipline or systematic way of organizing your tracks, you could easily end up with a whole bunch of tracks in no particular order or grouping, not to mention with any sort of half-intelligible descriptions. The mixer being handed a “shopping bag full” of tracks, would have to go through and figure out which tracks are what and how they fit in timing-wise and in what context of the song. In many cases, that takes hours, sometimes days if the track count is high and depending on how unorganized the entire package is. If you are an artist that just spent a whole lot of energy dreaming up and playing the notes and took the trouble recording them all, why not go the extra step to arrange what you have so that it is closer to how you envisioned the music, even if you are handing it over to a mixer. After all, it is your creation and you should take ownership of it. Each component of your creation should be treated with at least some measure of care. 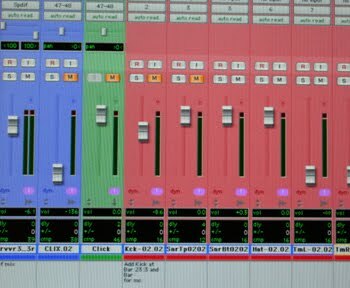 By doing so, your mixer will reward you by being able to fully concentrate on the business of mixing, the reason your hired him or her in the first place. Make sure you label each track. Use descriptive wording. Don’t use trk1, trk2 or audio1, audio2, …etc. (Don’t laugh, it happens more often than you think). 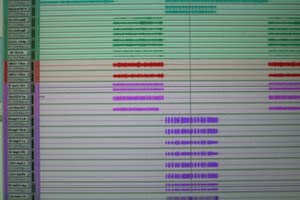 If you are using Pro Tools, use the comment field to mention any additional details about the track. Group by instrumentation, e.g. drums, guitars, vocals. Color-code them to make it visually easier to tell them apart.